Corporate Action – Is it a Call to Action for a Shareholder? Blog » Basic Finance » Corporate Action – Is it a call to action for a Shareholder? While discussing over lunch, one of my friends seemed really excited about the upcoming bonus issue by the company in which he had invested. I was following his excitement and the way one of our colleagues showed interest in investing the shares of that company too. This discussion left me puzzled about the relation between bonus issue and the prospects of investing in that company. I did a bit of research and that is reproduced below for all of you to get clarified as to what this discussion was about. If you go through the highlighted portion in the snapshot of the article reproduced below, you will read that GAIL had declared a bonus issue of shares in the ratio of 1:3. Now, all those shareholders of GAIL must be really excited to bag the extra shares or we may say ‘free shares’. As an outsider, after this news, you too may be lured into purchasing the shares of this company. And why not, it gives shares for free to its shareholder’s. Meanwhile, before you materialize the idea to purchase these shares, do get a few things simplified in your mind that will help you in understanding such actions of the company. An action means an act; a corporate action means an act done by the company, specifically a public company in this case. The board of directors of the company initiates the process of corporate action subject to the approval of the shareholders. While you read the blog, there may be several questions bothering you such as – Are all the events taken by the company to be considered as corporate action? Is there an exhaustive list of corporate action? How a corporate action does effect a shareholder? Now the question arises – Are all events/ actions taken by the company can be termed as corporate action? The answer is no, only those events that have a direct impact on the shareholding of the shareholders are termed as corporate action. The impact is either in the form of an increase in the shareholding pattern or the dividend receipt or other factors related to the shareholding of the investor. Find below an infographic, giving a brief on each of the common types of corporate actions taken by the company. In this article, we will discuss on one of the common corporate action i.e. bonus issue done by the company. In our other upcoming articles to these series on “corporate actions”, we will learn about other types of corporate actions (as mentioned in the infographic above) as well along with the case study for each of them. What is a bonus issue? Bonus issue, also known as the stock dividend, is the issue of free shares to the shareholders in proportion to the shares already held by them. What does the ratio imply? As mentioned above, that GAIL. made a bonus issue in the ratio of 1:3, this implies that the company will give 1 share for the two shares held by each investor. Suppose a shareholder holds 300 shares in GAIL Ltd, then he will receive 100 additional shares (300*1/3) from the company post issue of shares. Does the bonus issue impact the percentage shareholding of the shareholder? The answer is no. Suppose a company has a share capital = 10,00,000 shares. Bonus issue = 1:2, Mr. X, a shareholder owns 100 shares in the company. As you can see from the above example that bonus issue does not increase Mr. X ’s percentage shareholding in the company. By bonus issue, the company increases the shareholding of the company as a whole and the simultaneous increase in the shareholding of an individual shareholder. Why should an existing shareholder be happy with the bonus issue, when there is no increase in the percentage shareholding? Yes, you guessed right. It is due to the dividend received. The increase in the number of shares entitles you to the additional dividend. When you compare the two situations, you will be able to see that post issue the share prices changes. This happens because the value of the total investment made remains the same. However, due to the increase in the number of outstanding shares, the share price per share changes. If we take the example of Company Y, which has its share prices at Rs. 500/ share, which reduces to Rs. 167 approximately post bonus issue. In this way, bonus issue serves as an important tool for restructuring the share prices in the situation when the share prices are too high and the prospective investors find the prices too high to purchase that particular company’s shares. • A bonus issue or a cash dividend paid should not be the only reasons to purchase a particular company/s shares. • Market study and long-term growth prospects are to be considered first before investing. • Anything for free also has an underlying cost in it. • Know your shares well – before any investment decisions, SWOT analysis is a must to make you grow in your portfolio selection. • Bonus issue does not increase your percentage shares in the company but increases the number of shares held by you. The benefit is the increased dividend that will be received by you via an increased number of shares. • A Dividend is a pure form of reward received.  In this case, you actually earn in monetary terms depending on the number of shares held by you. • Right issue is one of the means available with the company to gain additional funding. So beware about your benefits before exercising the offer. • Stock split changes the face value per share and also affects the stock prices. In this way, we have learned as to what corporate action is, what actions of the company fall into that category. Further, we learned in depth about the impact of bonus issue on the share prices. Similarly, in our upcoming articles, we will study more about the practical examples as well as the resources from where you can gain knowledge about the various corporate actions. Meanwhile, In the case of any questions, please write us back and also mention about other basic finance topics that you would like to know about. If you want to watch videos on finance topics you can visit our youtube channel. Elearnmarkets.com wants to remind you that all our content is created solely for the purpose of education. No strategy, stock, commodity, fund or any other security discussed here is any way a recommendation for trading or investing. Elearnmarkets.com will not be any way responsible for trading losses incurred by any individual or entity for trading with real money. Please take advise of certified financial advisers before trading or investing. MARKET WRAP for 15TH JULY, ’16: Infosys slumps, market follows suit. An increase in the number of shares doesn’t necessarily amount to increased dividends, as it has been observed that with the increase in the number of shares, the total value (Monetary consideration) of the Dividend received only increases proportionately. But, it may attract a higher dividend. The only thing that a bonus share does – Happiness of shareholders. It does increases the marketability and the liquidity of the shares. Also to some extent I would opine that certain small shareholders who could not invest because of higher value of the scrip might invest in the same. And also a very good tool to be in the news. How sweet is the Sugar sector? Can EBIT and Operating income be used interchangeably? Continue your financial learning by creating your own account. Copyright © 2018 Elearnmarkets. All rights reserved.